I've got some fun posts coming your way for this week's Frugal Round-up. First, it was love at first sight when I saw these place card holders from Primitive and Proper! Hurry over to her blog to find out how she made them. Next, I was really inspired by this adorable closet-turned-office shared by Saving 4 Six. Isn't it dreamy?? 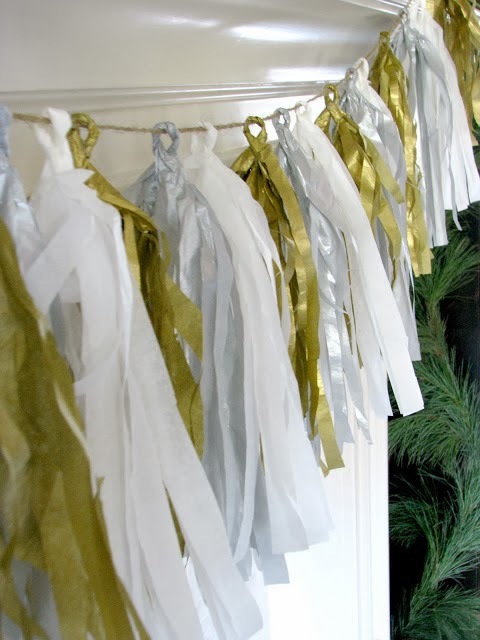 Finally, I'm really into the mix of silver and gold this holiday season, so I was intrigued by this cute DIY tassel garland shared by Life Love Larson. Thx for hosting! Have a great holiday! Thanks for hosting, Wendy! Great features. I made a tassel garland like that for Valentine's Day last year! Thanks for hosting this fun party! Hope you have a wonderful weekend! Thanks for hosting another great party! Hope you have a wonderful weekend! 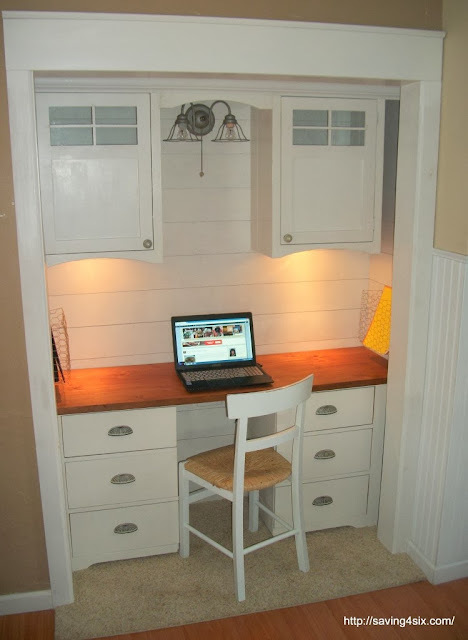 The closet turned office is such a great idea!! It wouldn't really work in our house now, but I will have to pin this to remember for our future house! Thank you, thank you, thank YOU for featuring my closet office!! You made my day! I'm loving silver and gold this year, too! Thanks so much for hosting your party. Hi Wendy, thank you for hosting. Have a great weekend! Thanks for the party! Such pretty features and so many festive links! Love it! Thank you for hosting! This is my first time here. Thanks for the great party Wendy. 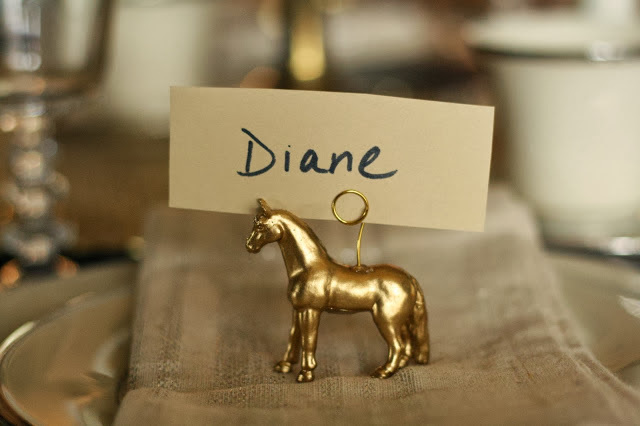 I love those place card holders! Have a wonderful weekend.